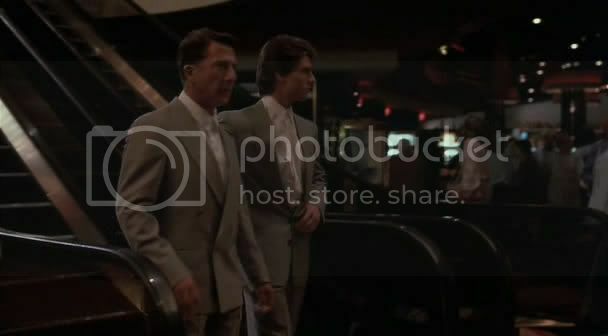 Tom Cruise plays Charlie Babbitt, an arrogant, selfish luxury car salesman. We are introduced to him as he desperately tries everything he can to keep the buyers for his new shipment, assuring them that they have passed EPA regulations and are ready to sell. His life is about to change, as he gets a call informing him that his father has died. He could care less due to a falling out years ago. Nevertheless, he goes to the funeral and then to the reading of the will, where he finds out he will not be getting the $3 million estate. Incensed, his pursuit of the trustee of the fund leads him to Wallbrook, an institution for those unable to care for themselves. While there, he and his girlfriend/employee Susanna (Valeria Golino) discover a previously unknown sibling of Charlie’s: Raymond Babbitt (Dustin Hoffman). Due to his autism he was sent to Wallbrook, and his existence was never disclosed to Charlie. In a vain attempt to win his perceived portion of the inheritance back, Charlie absconds with Raymond and embarks on a journey from Cincinnati back to Los Angeles. Along the way he discovers much about Raymond and his disorder, in addition to a different style of living life. This is all painfully obvious, and as I type out the plot description I can feel exactly how cliche it sounds. However, anyone who has seen Rain Man (all but the most cynical) will tell you that it is a heartfelt and credible tale of discovery and change. In a way this is what Hollywood does best: without taking any risks they make standard stories that will touch people in a simple and basic way. 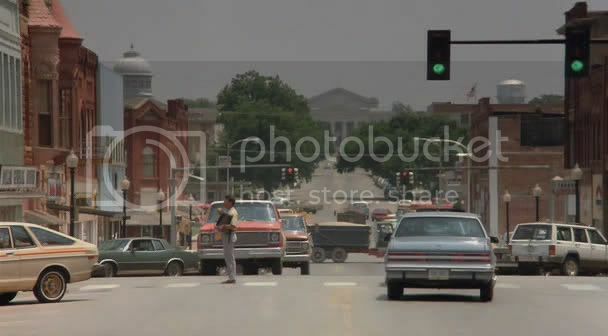 It’s when the films are as well-produced, emotional moving, and restrained as Rain Man that they are joys to watch. The rest of the time they are merely tripe. The acting is what makes the film. 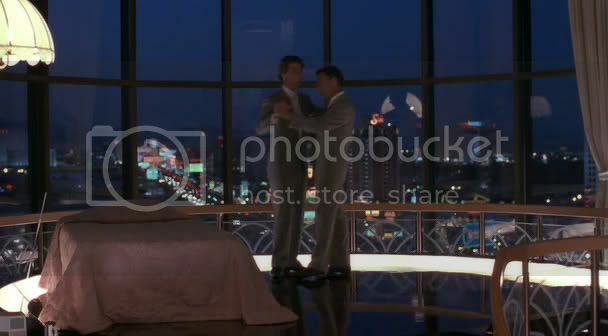 Cruise plays the perfect ’80’s business-jerk, remarkably selfish (but somehow still able to attract a beautiful woman) and unwilling to explore other people’s points of view. Hoffman plays a man trapped inside his own little world. He has very little knowledge of any form of social communication. His world revolves around simple routine, but at the same time there are small bright spots in his existence. His ability to memorize information, including a third of a phone book, is a skill that Charlie, a master manipulator, manages to use in an attempt to save his business. As the two of them attempt to bond (something impossible for Raymond, as emotions are not a part of his personal world) it is Charlie who changes the most. Perhaps the things he previously thought were tremendously important aren’t a necessary part of life. Raymond’s utter naïveté regarding money also gives him pause. Eventually he learns to appreciate and care for Raymond as a person, but the change is gradual enough to be credible and believable. 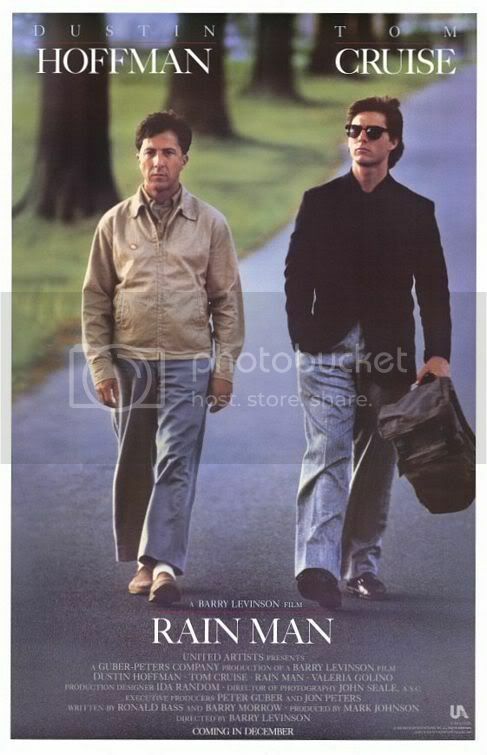 I had first seen Rain Man several years ago, as an impressionable teenager. I thought it was amazing and fantastic, surely one of the greatest films ever made. Watching it again now has provided an opportunity to view it a little more critically. I was glad to discover that it is a very good movie, nicely made and well thought-out. As far as conventional Hollywood fare goes, this is about as good as it gets. It is tender and sweet at times, but also provides an interesting and intelligent look at one form of autism. If you haven’t seen the movie for a while but still harbor fond memories of it, rest assured that it is worth another glance. This entry was posted in 3.5 pirate flags, 3.5 stars, Movie Reviews, R on December 13, 2009 by Tim Irwin.